Doctors often lack the skills needed to give them a competitive edge over their colleagues. Despite being academically gifted they leave medical school after six years ill equipped to attain their own career goals. Management skills that are often the most basic to those working for private companies are left out of their undergraduate training. Some simple tips, strategies and well researched advice will empower doctors to develop their own unique career pathway and help them achieve success in their professional life. This book is for all newly qualified doctors. 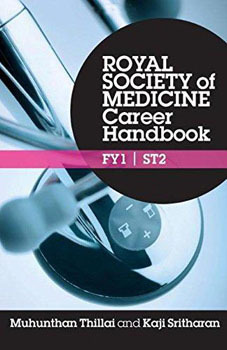 It systematically and logically examines the entire hospital doctor and GP career process from start to finish, dispelling common myths and advising doctors on how to break down their career into sections and tackle them one at a time. Planning a career should be like sitting an exam. Each chapter is devoted to one aspect of the career pathway from how to choose the right job for you through to FY1, FY2 and ST jobs, and covering application forms, exams, the interview process, audit and finally publications. Should I apply for jobs in multiple deaneries to increase my chances of success? What do those questions on the application form really mean? Exactly what type of questions will come up in my interview? Which postgraduate exam should I choose, how will I get through it and when should I sit it? How can I excel in an audit and make a difference to my department? How do I get published and which journals should I choose? Brimming with sound practical advice, hints, tips with its readily accessible style and approach, this text is an essential purchase for all doctors embarking on their career.